We are very excited to introduce a fun, informative and entertaining new perspective from the makers, players, and lovers of all things cymbals. 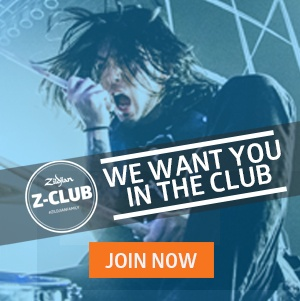 Each month we’ll bring you tips and tricks, “best of” lists, sound choices and more from your favorite Zildjian Artists, the Artisans who work inside our factory, and from those who love #drums, #drumming, and #cymbals as much as you do. No matter where you are in your drumming journey, Zildjian wants to be there with you. We invite you to be part of the conversation and welcome your thoughts and comments. Subscribe to "From the Stand" and join us! From the Stand…a bit of fact, a bit of fun and a whole lot of cymbals and drums! Subscribe to comment below. Then let us know some of the topics you would like to see covered here.